But how big should you go? 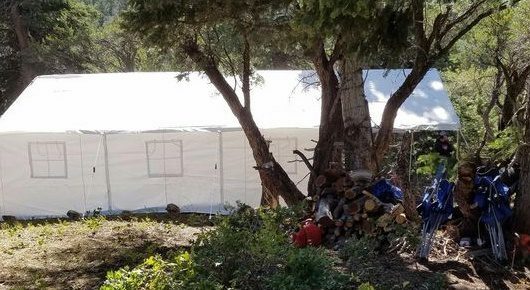 At Elk Mountain Tents, we offer 13×13, 13×16, and 13×20. 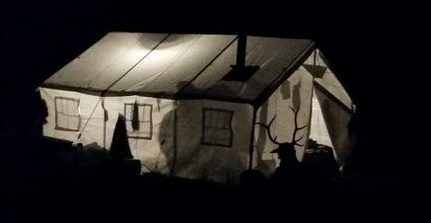 Very few people need more space that what a 13×20 can provide, and when they do, they usually prefer to just get a second tent for a bit more privacy between parties. As a general rule, plan on sleeping 7-10 people in a 13×20. For a more detailed explanation of sleeping capacity, visit HERE. While you’re at it, check out our selection of tents canvas tents. As mentioned above, most people just prefer to have a second tent at that point. However, there are other concerns as well. For example, the larger your tent, the larger the stove you will need. Then, if you need a giant stove that requires even more space around it, why did you get the extra space anyway? Plus, assembling a tent larger than 13×20 can get tricky. 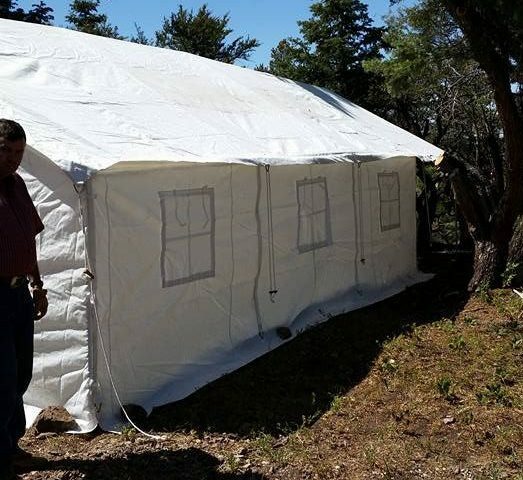 At Elk Mountain Tents, we prefer to keep it simple by offering just a few basic models that meet the needs of most people. This approach helps us keep our cost low because we can avoid putting tons of time into custom orders. Visit our shop to see what features come standard with the 13×20.